DISCLOSURE: Some of the links in this post contain affiliate links. Know that I only promote products and services I personally use and stand behind. To learn more about my affiliates, please review my disclosure policy here. It’s the beginning of the year and after all the holiday bills I know everyone’s looking for ways to save money at this start of a new year! There is lots of advice out there on ways to save groceries that include stepping away from brand loyalty, purposely doing meatless days or sticking to a strict budget and not indulging in impulse buys. Personally this advice doesn’t work for our family. However, we still make an effort to save when shopping for groceries and here’s 10 ways we do it! Meal plan – I’m a planner so planning our weekly meals each Sunday on the chalkboard in our kitchen fits with my personality! Even if it seems like we have the same 5 things each week, knowing what order they will be served, making sure I have all the ingredients on hand or knowing what to defrost is so very helpful for my mommy brain! Tip: It’s ok to give yourself a break sometimes and have some mystery choices (like Saturday where it could be take out or you could randomly be inspired) or do the old breakfast for dinner routine (like Wednesday’s French toast option). that we use to make our own mini packs of ground beef for future hamburgers, tacos or pasta with meat sauce. Stock up during good sales – Even though it might mean we’d be spending more one particular week than we normally would, stocking up on products commonly used when they’re on sale will save you money in the long run. If cereal, pasta, pasta sauce or shredded cheese are ever on a great sale, we stock up on these essentials. Many manufacturers offer a “catalina” that helps make these stock up opportunities even more helpful. You’ve probably seen catalina deals and didn’t even know they had a term! These are future cash back options you receive after purchasing a certain amount of items in one purchase. Example: last week at Shoprite I received $5 back towards a future purchase after spending $25 on Huggies diapers. That’s a catalina offered by the Kimberly Clark manufacturer. These are often items that are triggered BEFORE coupons, making them an even better deal! Buy seasonal deals – This goes along with the point above. Certain times of the year certain products are on sale more than other times of the year. Butter, for instance, is often on sale during the November/December holiday season due to all the cookie baking. Ice cream is often a steal during summer but not as much in the colder weather. Learn what items are sale at what season and stock up on the deals! Living Rich with Coupons posts these lists monthly. Plan for leftovers and use them wisely – While we aren’t HUGE leftover fans, there are some meals (usually Italian in nature) that we’ll enjoy the second or third day so we make a larger batch. We do get tired of foods quickly so things like left over grilled chicken often turn into quesadillas, chicken wraps, or sandwiches. Freeze meals – We not only use your vac seal machine with raw ingredients but also with completed meals or ready to heat meals. When expecting Hailey, I made double batches of meatballs and stuffed shells and vacuum sealed them in meal size portions for future months. Use coupons – Coupons are so easy to find these days! They come in the Sunday paper most weekends, can be downloaded from social media sites, found directly on manufacturer websites, scanned from your phone through apps, sent to you via email newsletters or printed from popular sites like Coupons.com! I also like to follow some informative coupon blogs like Hip2Save, Living Rich With Coupons and Totally Target which gives me the lists of hot deals or hot coupons. I love viewing them on the Bloglovin app as I can always hit “save” on anything I want to go and print/review later! Use rebate apps – Rebate apps are great as they give you added cash back on items that have nothing to do with the coupons you use in store. Right now I use Ibotta, Saving Star and Checkout 51 for extra savings and have cashed out with all three! With Ibotta (my favorite of the three I use) you complete small tasks to add the rebate to your shopping list, scan the product after purchasing and submit the receipt for confirmation. Tasks include things like watching a short commercial video, answering a trivia question or poll, or learning a fact/recipe so they are not time wasters by any means. Ibotta adds rebates often and even includes things that are “any brand” so you don’t have to keep the brand loyalty! I often complete the rebates for things like “any gallon of milk” or other generic items like eggs, orange juice, or bananas. This one also has bonus options monthly and a way to build a team to work towards bonuses together! With Saving Star, you can link your store loyalty card to your account and choose which rebates you want to try for during the month. Once you purchase that item, the rebate amount will automatically be added to you account within a certain time frame (2-22 days). There’s also an option to submit for a rebate by uploading a receipt for places like Walmart that don’t offer store loyalty cards. With Checkout 51, the rebates are only live for one week. If you purchase an item within the time frame, you just need to submit your receipt before Thursday morning and the money goes into your account. 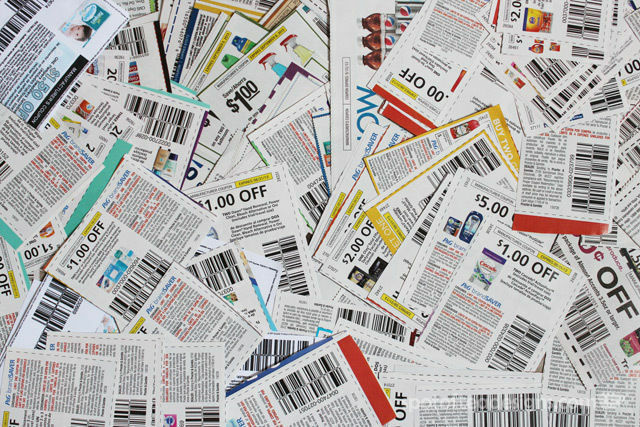 Learn how to stack coupons and rebates – This is key to getting things for cheap or free! You can often stack digital coupons added to store loyalty cards along with manufacturer coupons that are printed and then submit for rebates through the rebate apps, all on the same item! This often creates really cheap items or even a couponers favorite term, a “money maker”! How else does your family save on groceries?